When Linda was painting our bedroom, we had to pull all the furniture away from the wall. 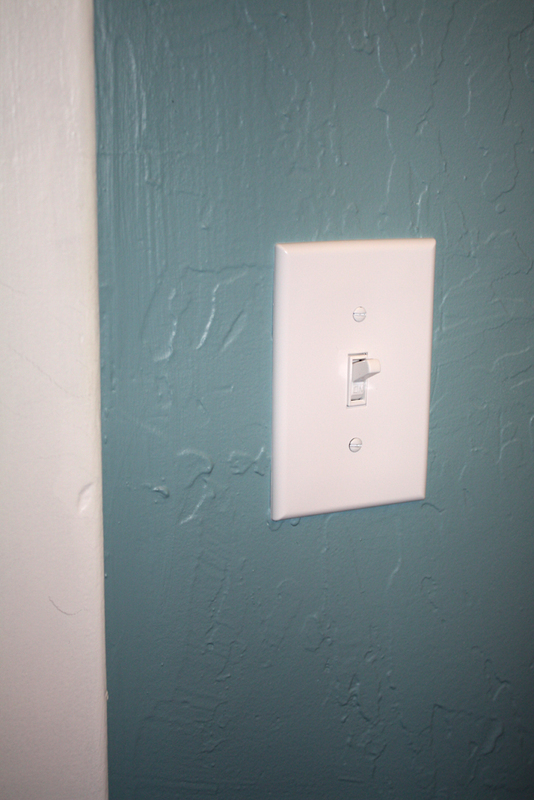 I took advantage of the easy access to the outlets and switches and changed them from beige to white to match the trim. 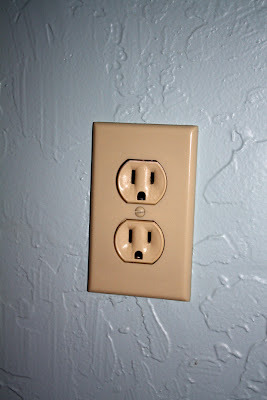 In addition to changing the color, I also switched our outlets to being the tamper resistant type. Since it was night when we got back from buying the replacement parts, I ran an extension cord into another part of the house and used my box of light to light up the bedroom. 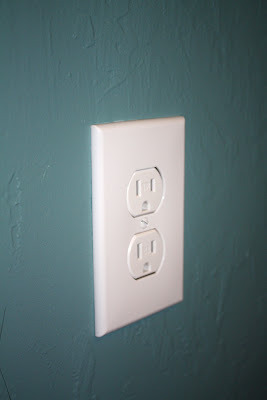 Then I plugged an electronic device with a power indicator light in to all of the outlets and turned on all of the light switches (overhead and closet) that I wanted to change. After that I had Linda inside on her cell phone while I switched off breakers until all of the devices turned off. One interesting thing I learned is that all of our overhead lights are on the same circuit breaker. :-) Since Linda continued painting the room while I worked, there are no before or during pictures, only after. 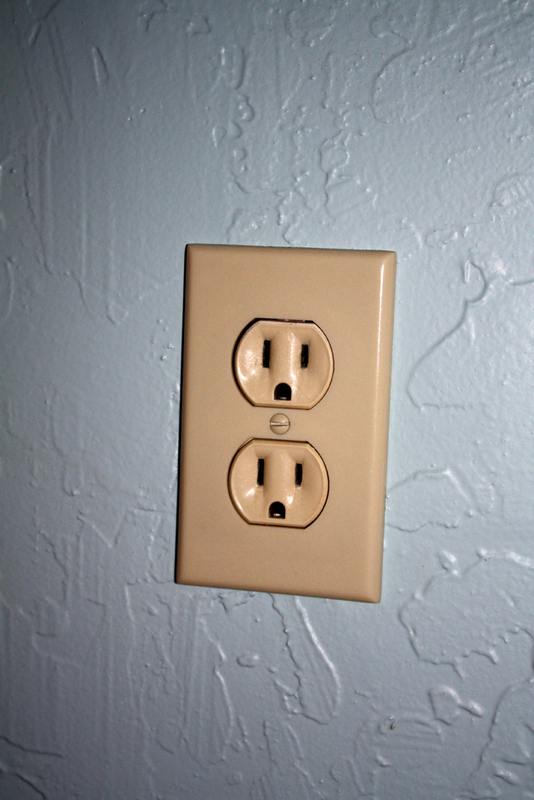 Linda did take a picture of an old outlet in our guest bedroom for so you can compare it with the new ones.